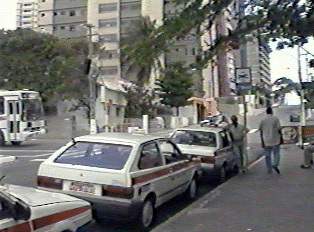 In the cities, taxi stands are found near central locations such as hospitals and malls. A customer can simply walk up and get in. It is also possible to telephone a taxi to ask for pickup at a specific place and time. Although there are many companies, the rates are the same. Taxis have meters, so the fare is regulated. Many people may share a ride to lessen the fare. The charge is based on the time of day and the distance traveled. Since there is no minimum or maximum, taxi drivers can take their passengers to another city. There is no extra charge for luggage, but a tip is in order, even without luggage. Passengers can specify particular routes if they desire.